chek dis right here jb fans! so here's the latest colouring in project. 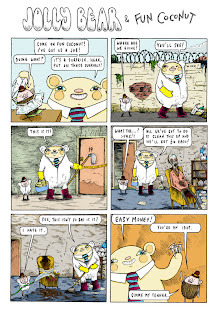 all of you pig lovers will be familiar with the tale from banal pig 3, but i hope you like the pretty colours. i do. 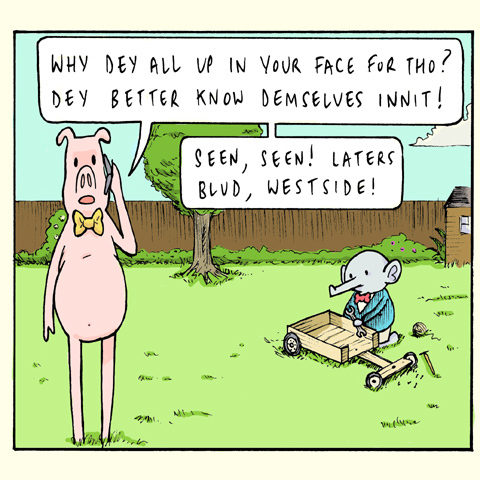 the eagle eyed amongst you will notice i've removed two "fucks" from fun coconuts dialogue to make it a bit more suitable for all ages, and the decaying corpse is obviously in good humour. consider this a teaser for jolly bear and fun coconut summer special 2, which will be ready for the birmingham expo. of course, this was done for the rok comics website, and that $10,000 prize is announced next week i think- good luck me. i'm also cracking on with the observer thingy, but the submission guidelines mean i have to draw full size, and the way i've divided up the page means the panels are tiny. oh well. i've finished my thing for the forthcoming monkeys might puke anthology, another thing ticked off the list, another thing on the bottom. here's something i have done for a feller called pigeon dave, and he's organising an exhibition of these cards from drawing people all over the country. i'll post when they're all online. how did victorian leafy greens get around london? why was the leafy green ill at ease at the fancy dress party? whats the leafy tina turner song? why did the leafy green titanic sink? -because it hit an ICEBERG LETTUCE! David Lloyd, famous artist off V for Vendetta and everything likes Ethel Sparrowhawk, and judges you if you dont have a copy. All new! Old strips coloured in! 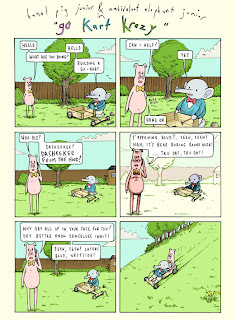 yes friends, another stab at the rok comics thing, another coloured strip. i'm not 100% happy with this, but it's ok- i'm getting a feel for colouring in and how it works. i've not done any jokes for ages have i? 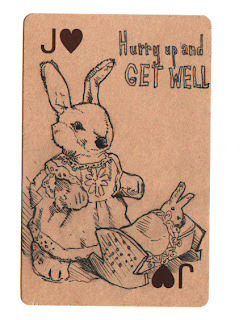 i'll think of some next time for yous'all, or if you want to get involved now, why not suggest a pun theme?. Hullo pals! At the moment i'm working on a few bits. As well as JBFCSS2, of which you will no doubt be aware, i'm doing something for Monkeys Might Puke aka sleazy Dan Lester's anthology about Mickey Rourke, if there was a prize for most esoteric comic, that'd win it. i might do some awards. Also, Jess Bradley is doing an anthology about animals which i'm doing something for, and not to mention the Rok Comics stuff and there's also a competition to get a comic in the observer which i'm certainly having a crack at (cheers for heads up Oli- that boy's got his finger on the pulse). there's also this victorian horror story thing thats been bubbling away for ages that i've got to get finished. 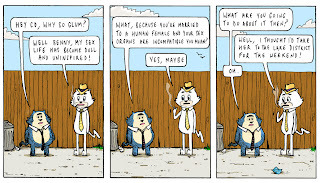 On the advice of John Freeman, who runs rok comics, this Cat Dad strip is on the Pro section of the site, which means you'll have to pay for it if you want it on your mobile. But you know me friends, i'm not gonna rip you off, so here's part one in glorious banalcolour. oh yes. i'm quite enjoying colouring the old strips in. it gives the strips a new lease of life i think, but takes a bit of time. 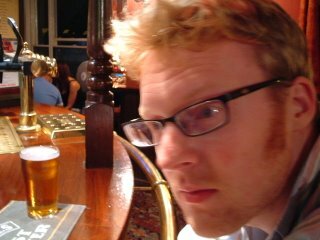 here's the last one for a while- i've got other stuff to do and have to go back to work on tuesday (boo) also, gareth gets a heads up on top shelf's blog (click link on right, cant be bothered finding link, the hey bartender bit).